I tried something like a big maki that was supposely Korean. 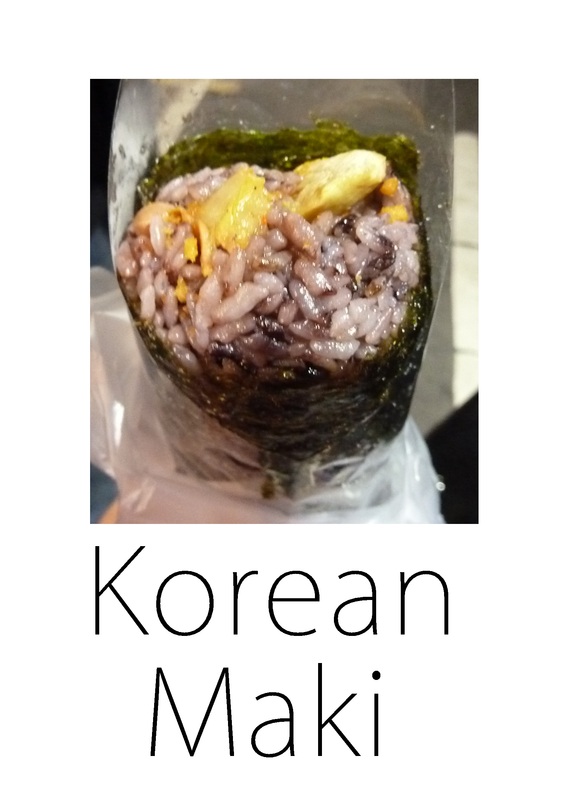 It was filled with red bean rice, kimchi and other veggies. The difference with a maki is that it’s hot d of course there isn’t fish. Quite nice, but really huge.